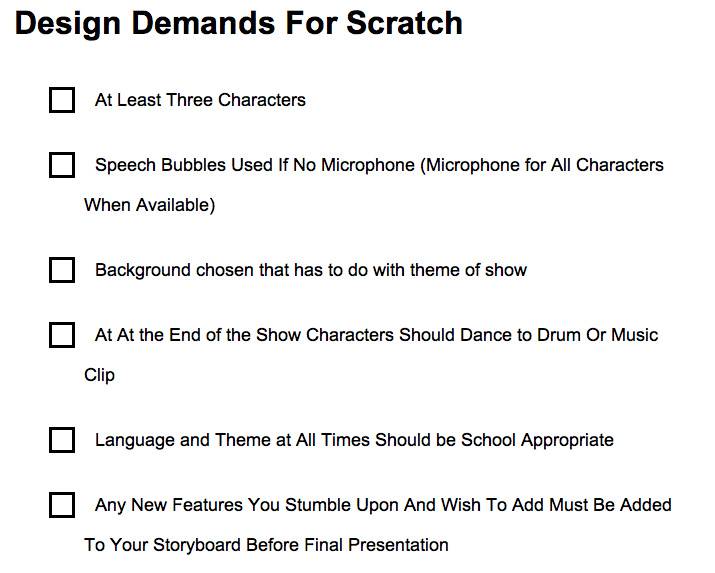 About Scratch: Scratch is a free software that allows students to drag and drop complex commands into a control strip that when triggered (through keys on keyboard) cause characters to interact and play out live shows on the screen. 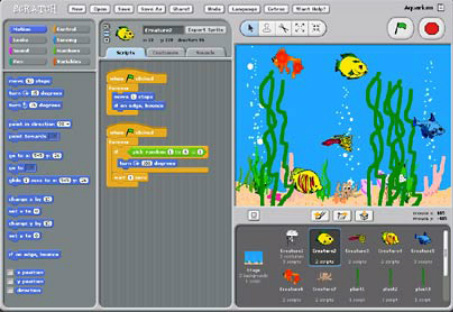 Video Games, Animations, and Digital Puppetry have all been successful projects using this software. 1. Great introduction to coding formats used in a variety of high school level courses such as app design, java , and even some modern website design functions.